The Oxford Film Festival is both possible and successful because of the support of our generous sponsors and members. Sponsors and members provide support with both cash and in-kind donations with a package available for every business or individual. All sponsorships are customizable. In turn, we provide you with first access to films and discounts at every turn plus exposure for your business or donation to thousands from print to online to social media to on the big screen, everyone will know you support the arts in Oxford! See the general sponsor and member packages here. See the Sponsor Deck here. Please use the form below if interested in sponsoring the 2020 festival. 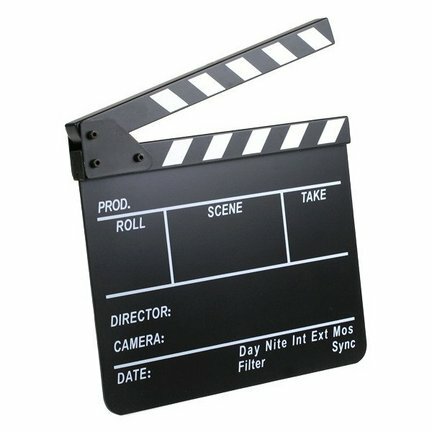 A film slate, or clapperboard, designates and marks particular scenes and takes recorded during production. Want to help sustain us into the future? Consider donating to our endowment fund. To ensure a healthy future for film in Oxford, Mississippi, the Oxford Film Festival Endowment through CREATE Foundation is a great way to give to help the future of the festival. To learn more about the endowment, visit CREATE to give online or mail a check to Oxford Film Festival, C/O OFF Endowment, PO BOX 727, Oxford, MS 38655.